One reason that businesses should do a periodic SEO review is that the landscape is always changing. For example, early search engines focused primarily on keywords, then, Google introduced the idea of measuring backlinks. Now, there’s evidence that backlinks and keywords will become less important for SEO as content and functionality become the most important metrics. This post will discuss some recent comments about backlinks Google made and what they mean for the future of SEO. In a recent video, Google’s Matt Cutt commented that in the future, backlinks would become less important for the search algorithm for Google and that the metric may be removed entirely one day. Advances in semantic search and the ability of algorithms to make sense of the content on website, and it’s better able to tell which pages would meet the needs of a particular searcher. 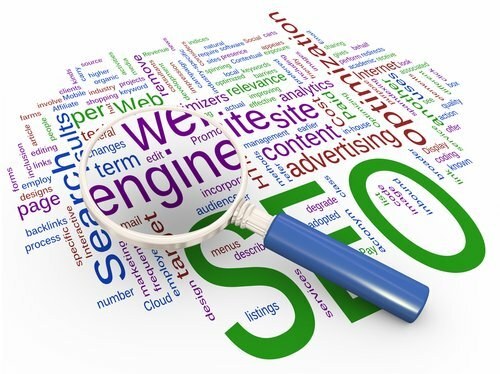 It’s understandable that website owners and marketers are attached to backlinks as a metric for SEO. It’s easy to quantify and it’s something that webmasters have some control over. However, the fact remains that backlinks and keywords are simply proxies for user satisfaction with the usefulness of a site. If there are better ways to determine the usefulness of a site, it would be a disservice consumers, and Google’s long-term viability, not to use these tools in search results. Besides being better able to understand the natural language of searchers, Google and other search engines will start looking for other ways to decide which page is more useful than others. As was mentioned in a previous blog post, Google is considering adding security rankings to their search engine results. Back in December, it was reported that Google was working on a plan that would get preference to sites and article written by authorities in certain subject matters. How Google plans to qualify subject matter experts is probably a sticking point. But it does point to the fact that high-quality content is what Google will be looking for. Moving away from backlinks and keywords in favor of more predictive measures is also a proactive way for Google to prevent people from trying to take advantage of their algorithms. The longer Google keeps the SERP algorithm the same, the more time there is for spammers to think of a way to exploit the rankings. In the past, Google had been slow to act when addressing the issue of paid links and content farms. In another recent video, Matt Cutts admitted that he regretted not acting sooner on those issues. Retiring backlinks would require website owners to rethink their sites and focus more on the quality of their content and their site’s ability to meet user expectations. Though the specific comments about backlinks are just the words of one man from one company, the one man is Matt Cutts, who has been an oracle for future changes at Google, and the one company is Google, which accounts for the majority of searches in the US and around the world. If Google stops using backlinks in their algorithms, it’s only a matter of time before other search engines do as well. It’s important to note that Cutts admitted that backlinks will be a part of the search algorithm for at least the next few years. So it’s not that a website with strong backlinks will become useless tomorrow. However, repeating advice from another article on this site, the best way for business owners to move forward with their site is by focusing on creating quality content.